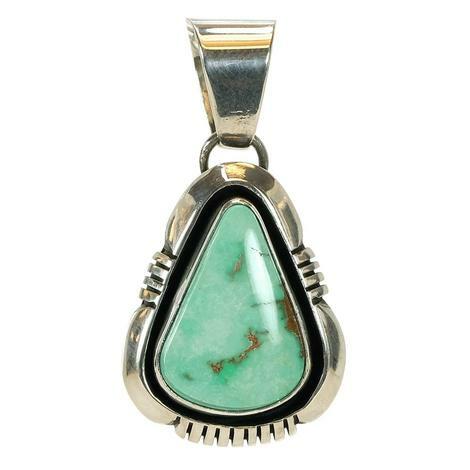 Adorn every mement with one of these Sterling Silver and Triangle Turquoise Stone Pendants. 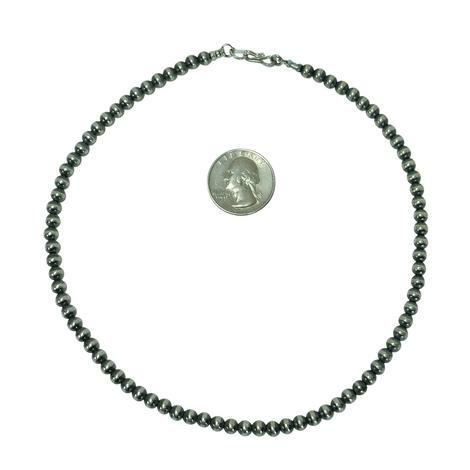 Be precious, be YOU with this addition to your blue jean or cut-off ensemble. 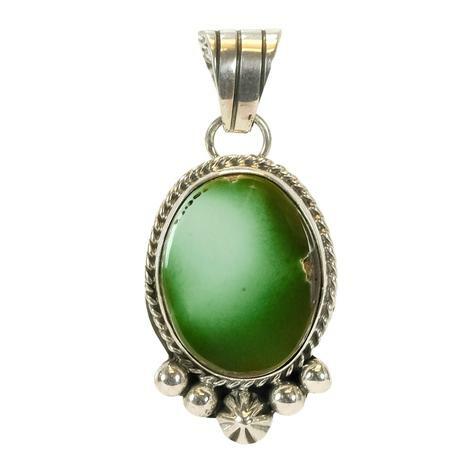 Don't just do fashion, be fashion, with this sterling silver pendant. 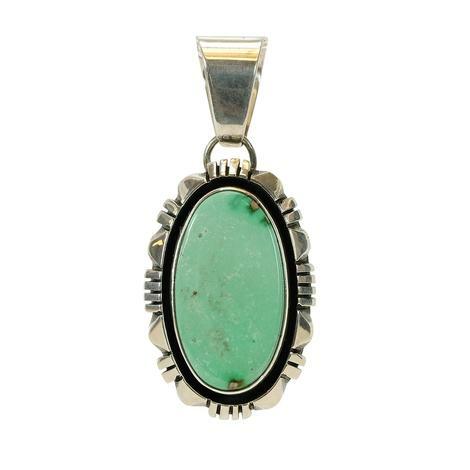 This 1 1/2" green turquoise oval design adds a touch of elegance to your attire. 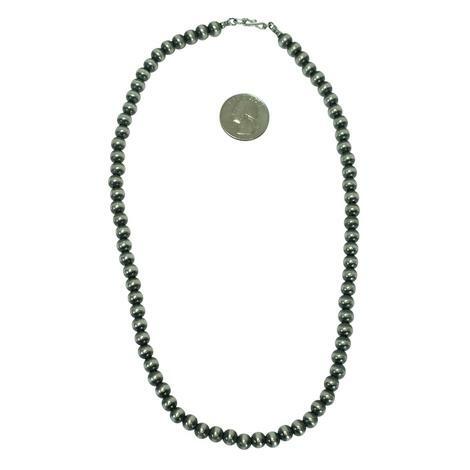 What is classier then an elegant strand of handmade Navajo pearls, nothing. 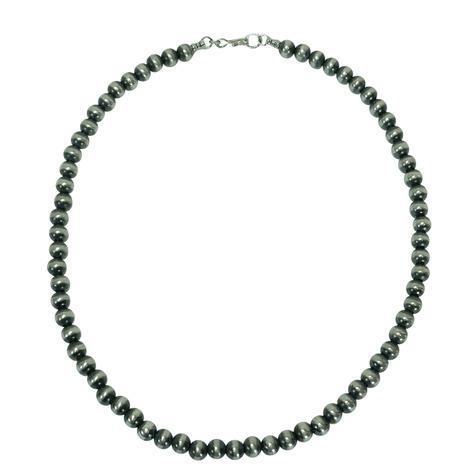 These pearls are made of sterling silver and each one measuring at six millimeters. 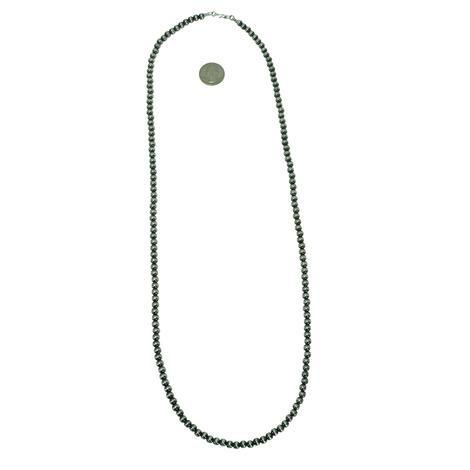 The perfect length end to end is twenty-four inches, add on your favorite pendant to make this look completely your own. 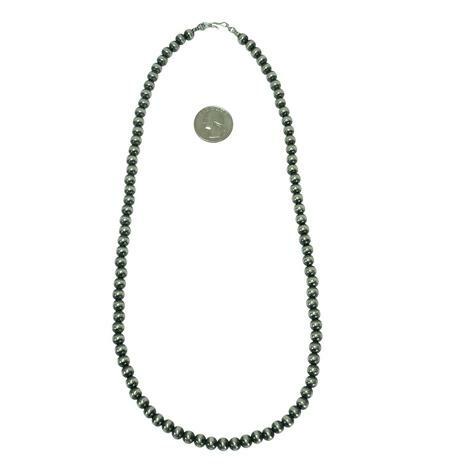 This is going to be our largest size of the Navajo American Pearls; measuring at six millimeters each, it is a bold and beautiful presentation piece. 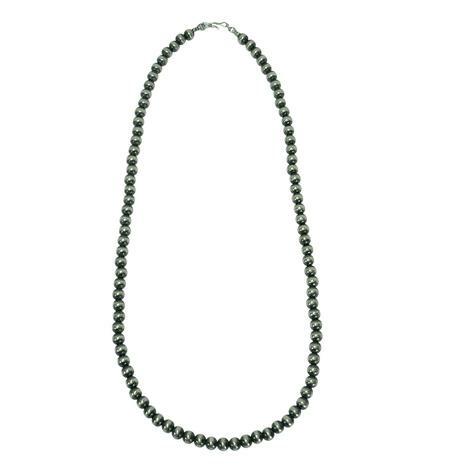 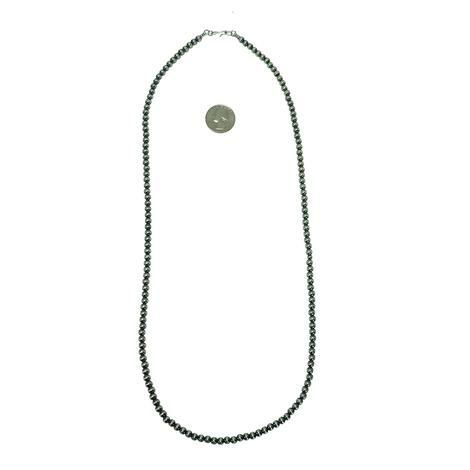 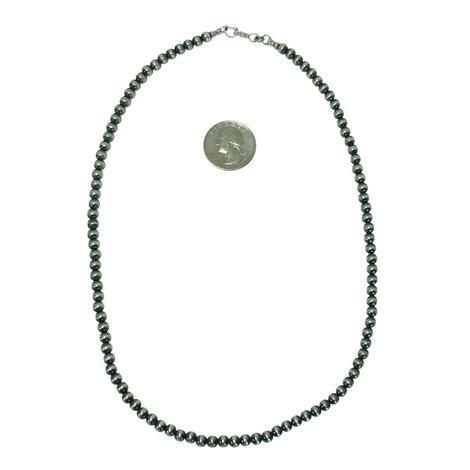 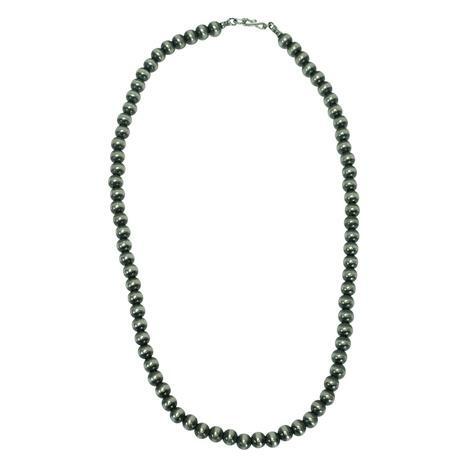 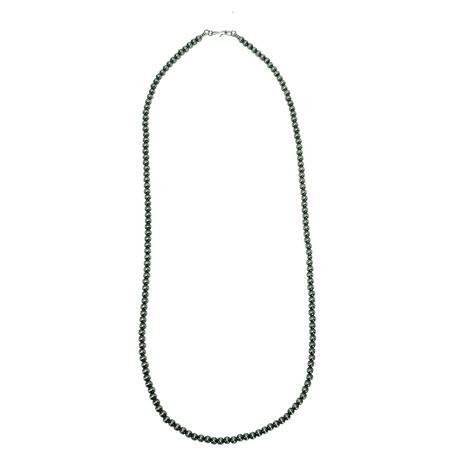 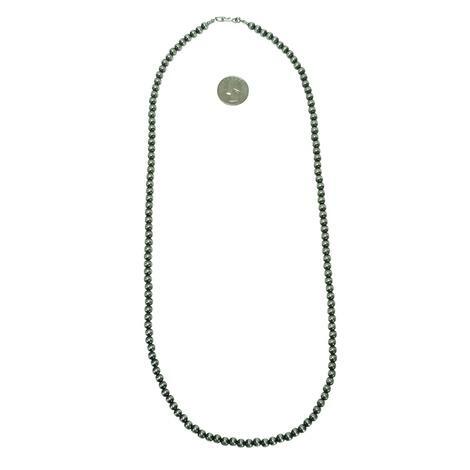 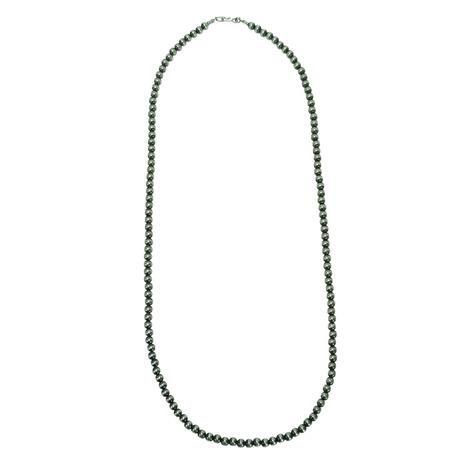 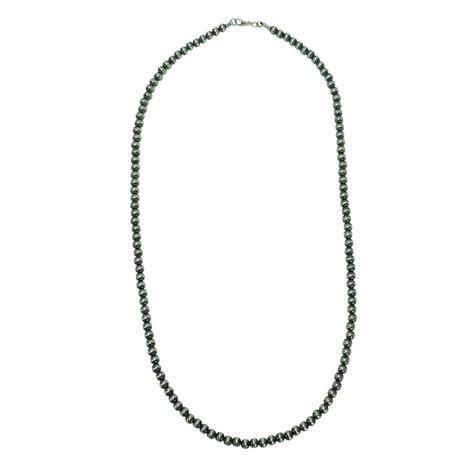 This necklace is twenty-inches in length from end to end and hangs comfortably around the neck. 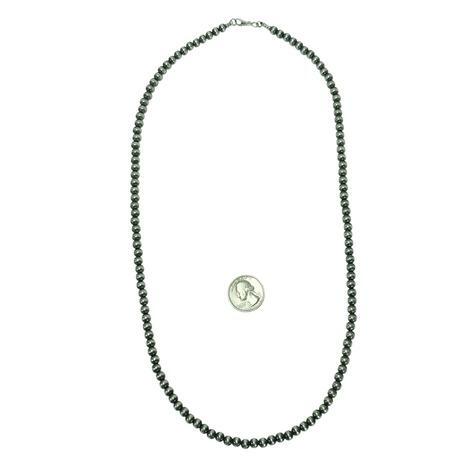 You have the option to add any favorite pendant to make this necklace your very own style. 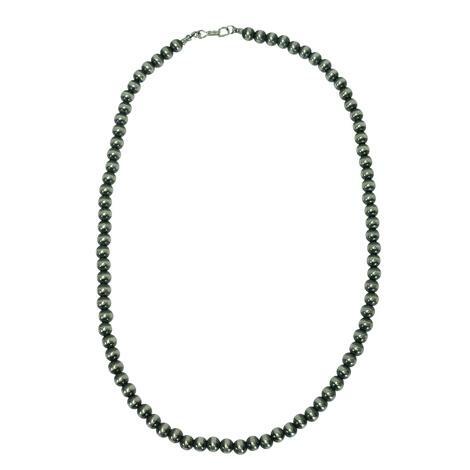 There is nothing more elegant than a beautiful strand of pearls. 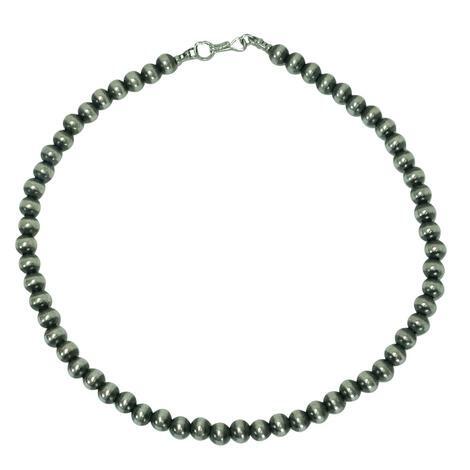 These pearls are handmade of sterling silver by Navajo Indians, they are a modern twist on a classic jewelry item. 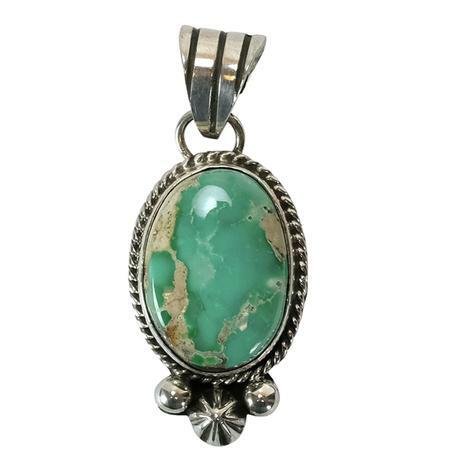 They look beautiful with one of our many pendants which your able to add to make this necklace a look all your own. 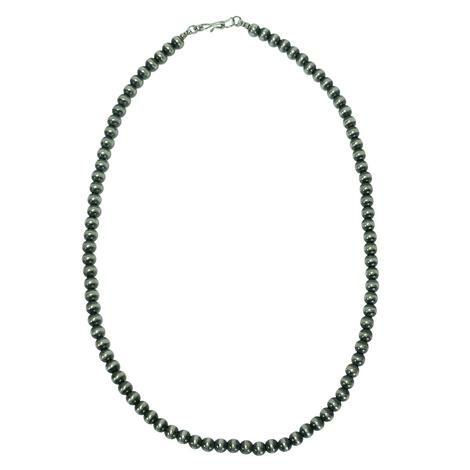 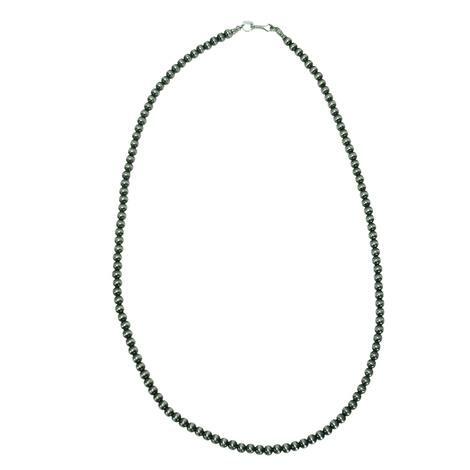 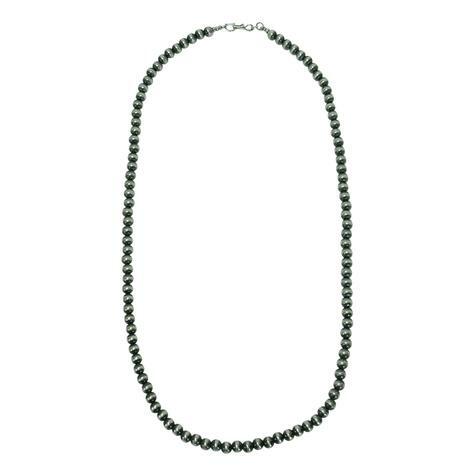 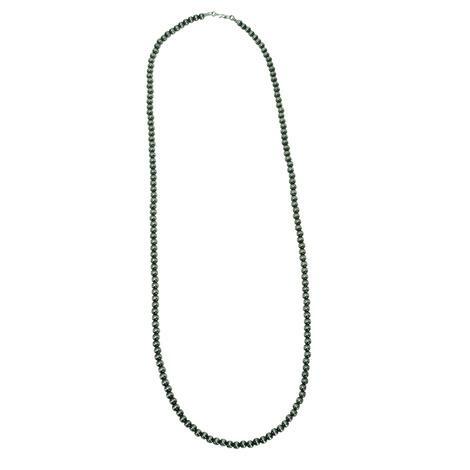 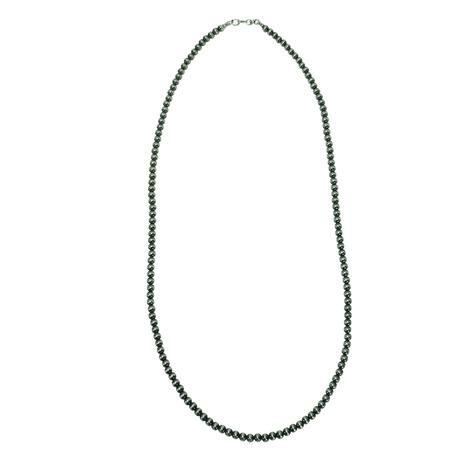 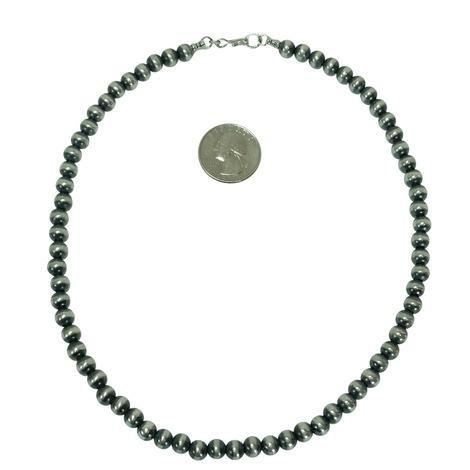 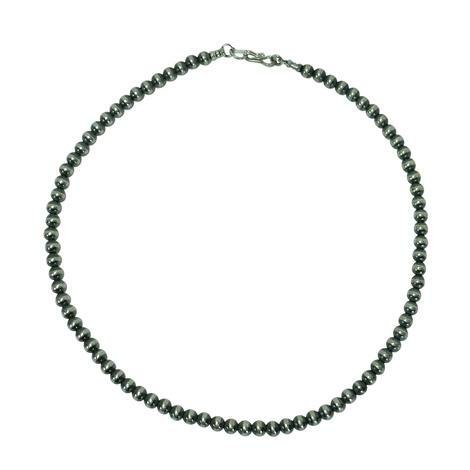 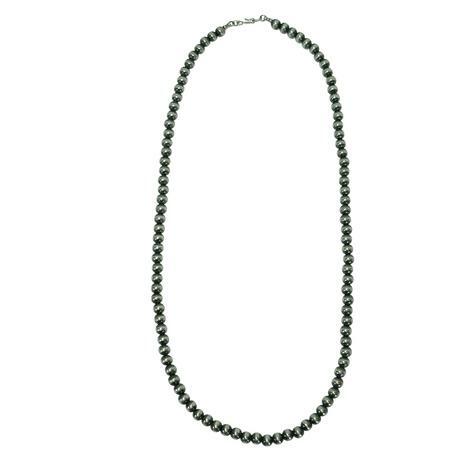 Length End to End: 30"
This is a stunning Sterling Silver beaded twenty-four-inch necklace from end to end. 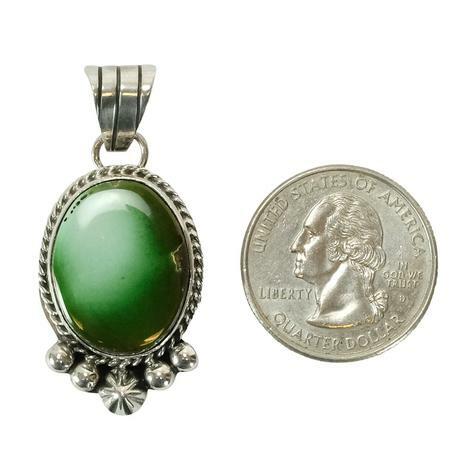 Its pearls are measured at 5 millimeters and are handmade by Navajo Indians. 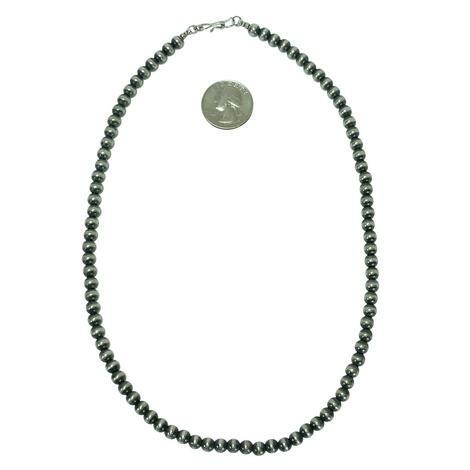 Each necklace is a testament of true artistry and represent hard work and grace. 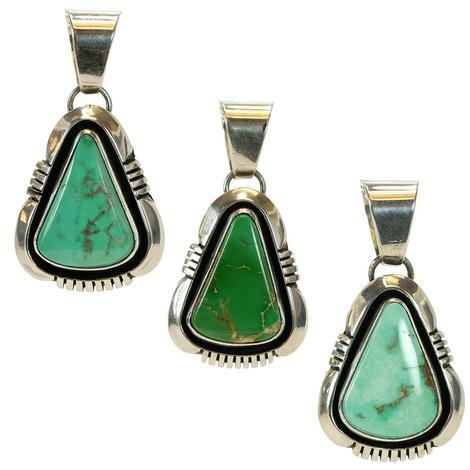 Match with our beautiful pendants to made a unique set all your own. 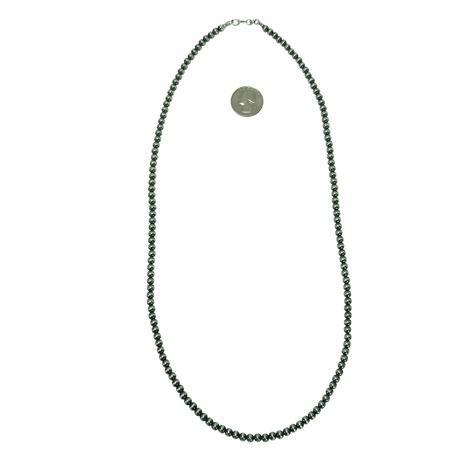 Length End to End: 24"
A necklace has the power to turn any outfit into your very own unique look, and this is the look you have been searching for! 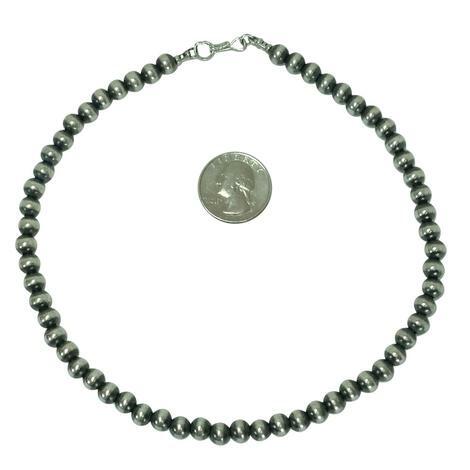 This is a stunning handmade Navajo Pearl necklace. 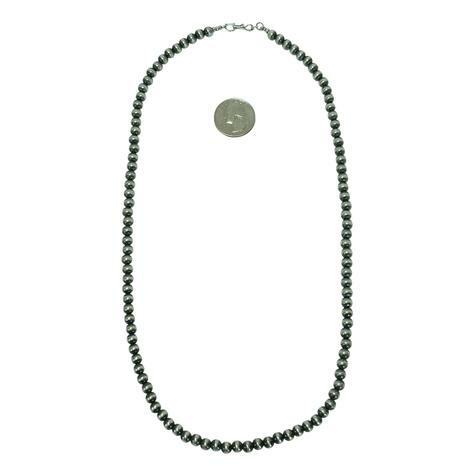 Each pearl measures at 5 millimeters and has a total length from end to end at 20 inches. 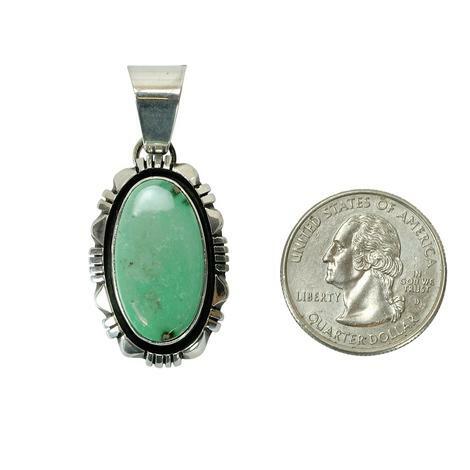 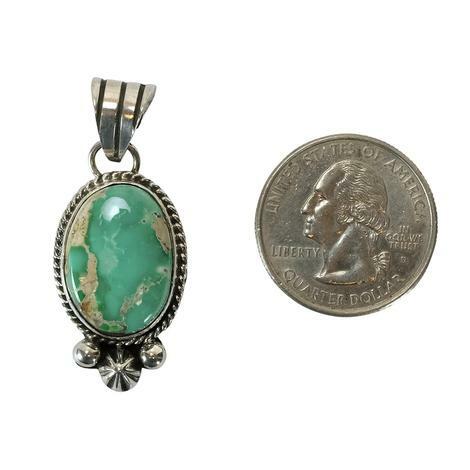 Match this necklace with your favorite turquoise pendant! "Pearls are always appropriate." 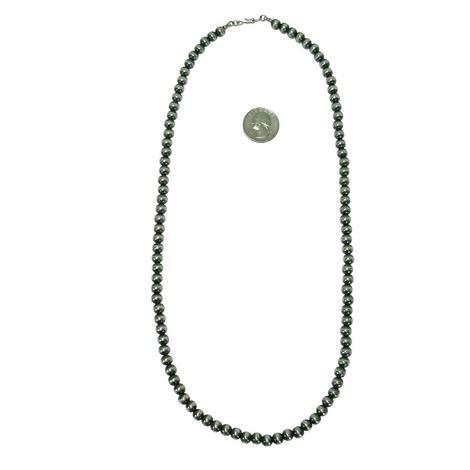 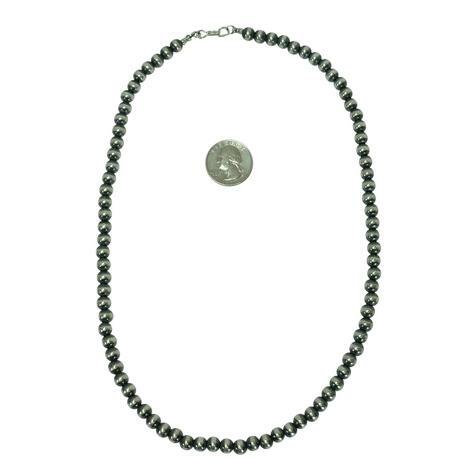 Jackie Kennedy, to always look classy and fabulous you must be wearing a beautiful set of pearls, this is our long Navajo American Pearl necklace that will give you the exact look you’re hunting for. 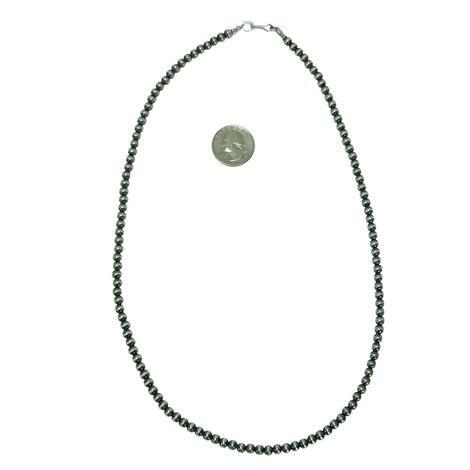 Measuring sixteen inches from end to end it looks amazing with anything.